It is almost winter, and my skin officially hates me. Winter is the worst on my skin. My face gets dry and blotchy. 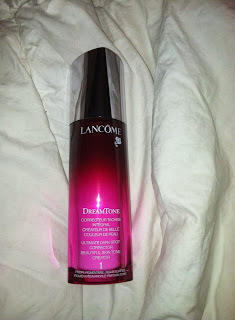 That is why I was thrilled to review Dream Tone from Lancome through SheSpeaks! 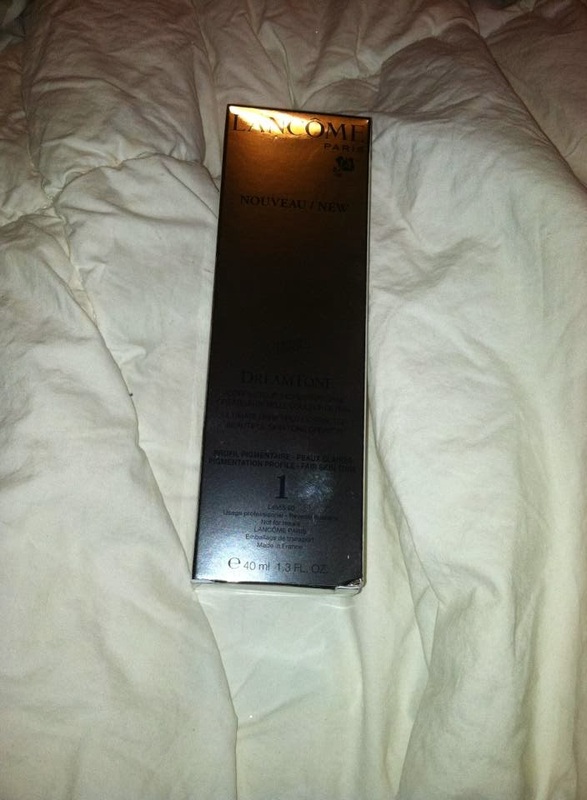 The DreamTone comes packages in a silver box, that I think would be perfect for give giving! It is very shiny and sleek. The bottle itself is a magenta color with a silver top. 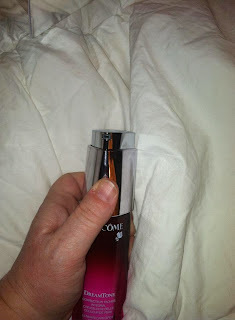 I loved the bottle instantly! The lotion is not thick, which is not what I was expecting. To get the product out, you twist the top, and the upper portion pops up. It was a really neat design, and I think it will keep the kids from experimenting with it! I used the DreamTone for 1 week and saw a different almost immediately. The first day, my skin tone definitely looked more even. By the 7th day, it made a clear difference smoothing out lines and wrinkles, lightening dark circles, and evening out my overall skin tone! It is a new must have for my morning routine! 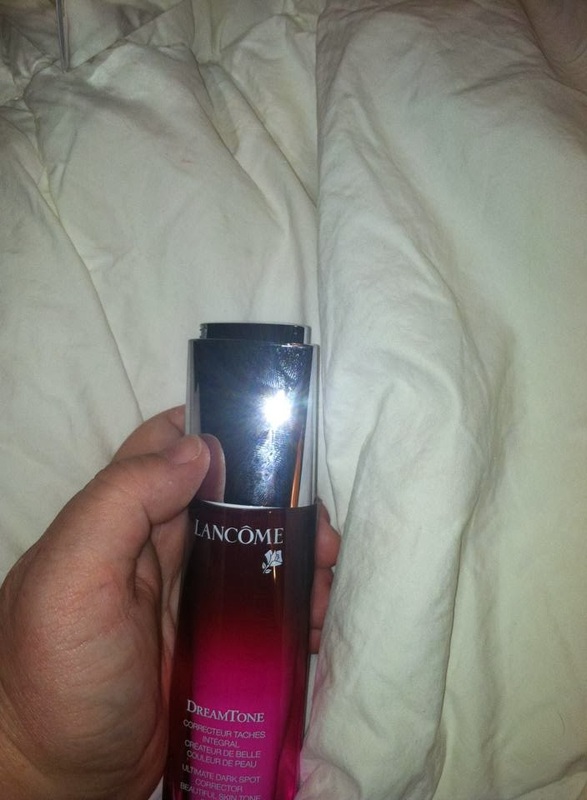 Lancome challenged me to post (and TWEET) a #BareSelfie of myself! Eek! So, this is my skin with nothing on it (except DreamTone!) At least my skin looks great! SheSpeaks will be hatting with @LancomeUSA about DreamTone and giving away some dream-worthy prizes! 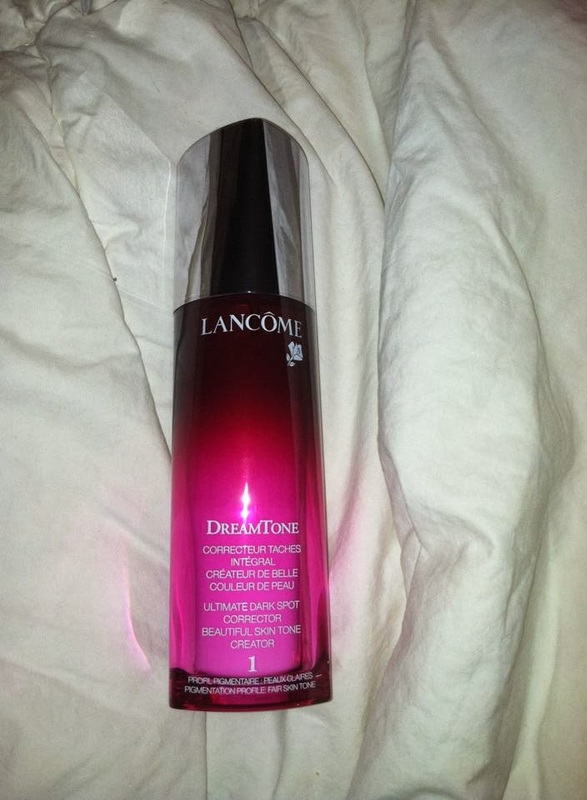 MamaBreak received DreamTone from SheSpeaks and Lancome to share here on the site. We did not receive any other type of compensation. As always, our experiences and opinions are our own.